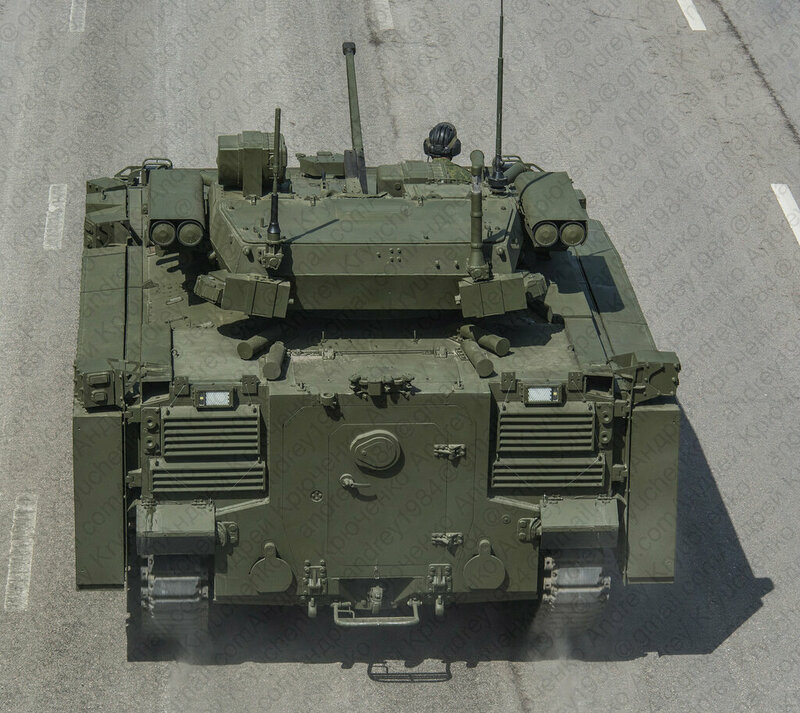 The vehicle retains the same active protection system ‘ring’ used on the BMP, but does not include the heavier Afghanit the BMP uses. Instead, it’s infra-red spotlight (4) is mounted at a higher level, and can serve both as a forward looking counter-measure and a signalling element, displaying numerical symbols backward, thus enabling communications with the infantry squad or other vehicles without relying on radio communications (similar to using flags). If coupled to the laser warning system on the vehicle, such a device could act as an unaided ‘blue force identification’ mechanism, responding to laser signals with a coded message. It would probably operate in visible and thermal bands, enabling both day and night operation. including long precision range artillery , NATO tanks and thousands of modern top attack anti tank weapons like SPike or Javeline ,to put the rebels in serious trouble and over run their positions. Since they are mostly using old weapons and old tanks. Russia has no stake in the conflict... if US forces take all of the Ukraine then that is no problem for Russia... the Ukraine has been anti russia for some time... so US occupied Ukraine wont be much difference. There is plenty Russia could do from arming rebels, through to simply stating that US interference and occupation of Ukraine will lead to Russia withdrawing from the New Start Treaty and the INF treaty and that Russia will start making new nuclear warheads at a rate of a few hundred a year to ensure the security of Russia. Any attempt to retake the Crimea would be an attack on Russia which would lead to full retaliation up to and including nuclear weapons. Russia could do the equivalent... arm native americans, mexicans, al quada... and fully support independence causes in Europe like Scotland, the basque separatists etc etc. Even old MANPADS are quite effective... as are ATGMs. 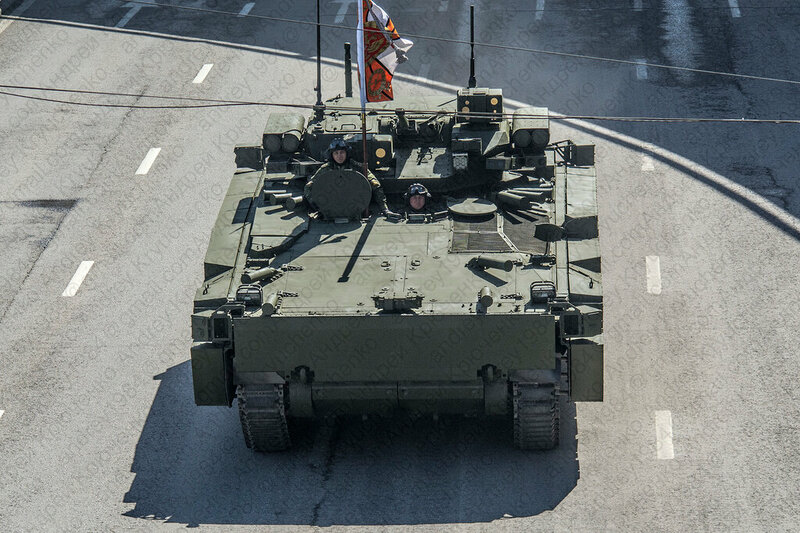 Russia needs Armata tanks this year.. at least a couple of hundred.. and not in 2018. Now is when they need them.. You also have the Syria war.. that last information says a major war will start soon there ,with NATO vs Syria. Russia is on a state of war and they act as if.. nothing happens and the war is not against them. For all its strength the west is actually rather weak when it comes to opposing nuclear powers... in the end they will huff and puff and do very little. Russia can support Syria with all sorts of new presents and test all sorts of new weapons in Syria... it has plenty of potential... likely once Iraq and Iran have dealt with ISIS on their territory they might be pursuaded to assist Syria with its ISIS problem. You just need to calm down Vann.... the US sending 30,000 spec forces to the Ukraine will just get a lot of them killed. The numbers is just replication of old Soviet system of identification using rear facing lights with stencilled numbers for ID of unit. If such a large vehicle can only carry 6-8 troops respectively then there is some large waste of space, given the unmanned turrets should be more compact. 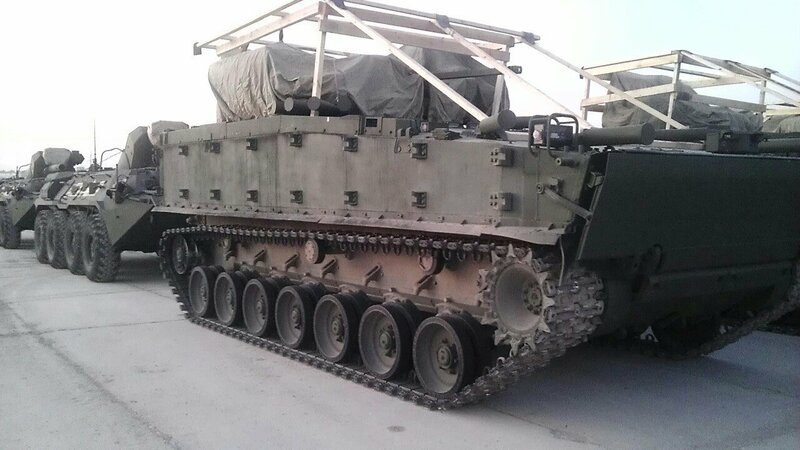 The much smaller BMP-1 could carry 8 soldiers while the even tinier M113 could carry 10, or also a 105mm howitzer. If the number of passengers is true this is clearly a heavy troop carrying capacity downgrade. Also why wasn't fitting an AGL considered for both the IFV and the APC? 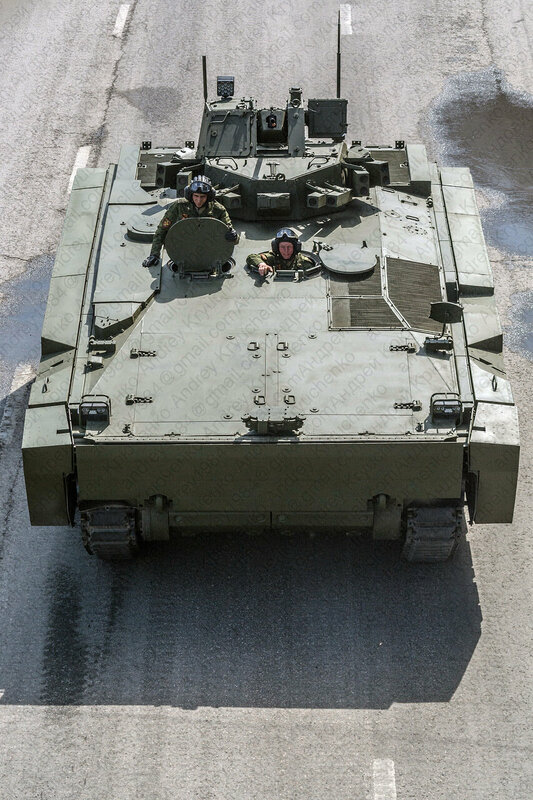 The BTR-80 can easily be quipped with a 30mm one while the BMP-2 berezhok already has one integrated. Not keeping such a weapon on the new generation platform is very dissapointing. 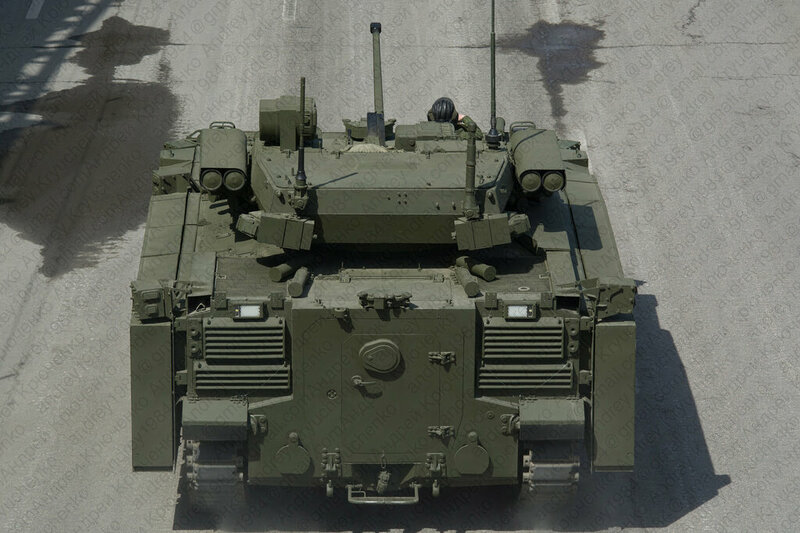 KomissarBojanchev wrote: If such a large vehicle can only carry 6-8 troops respectively then there is some large waste of space, given the unmanned turrets should be more compact. 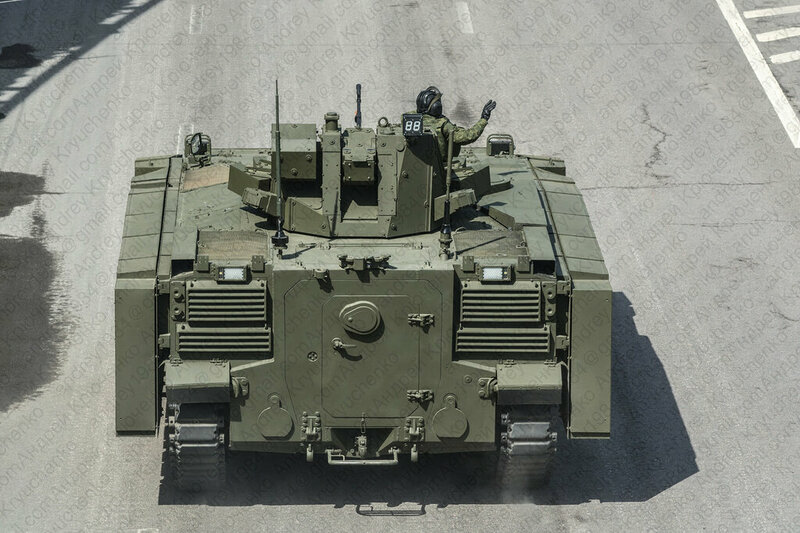 The much smaller BMP-1 could carry 8 soldiers while the even tinier M113 could carry 10, or also a 105mm howitzer. If the number of passengers is true this is clearly a heavy troop carrying capacity downgrade. If there truly is a missile reloading system in the K-15 then I agree, but the APC variant has anemic armament that surely doesn't require much space. 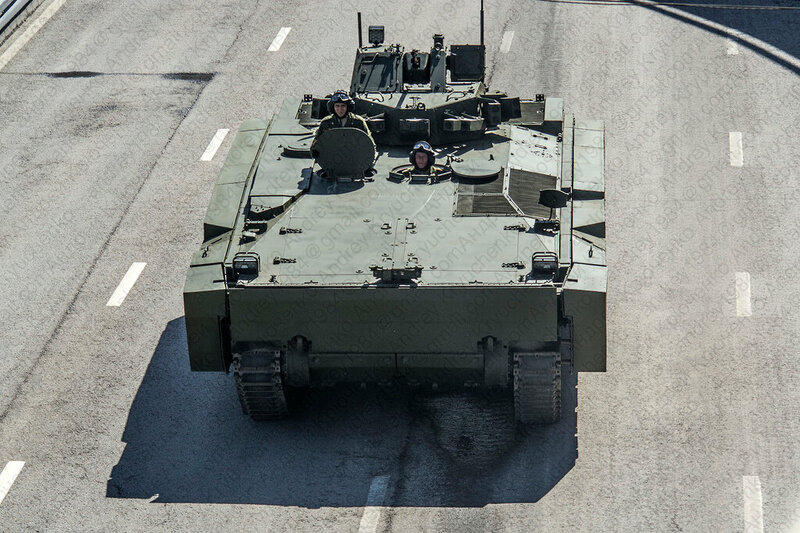 8 troops is in the IFV department, APCs(especially tracked) should have a capacity of at least 10 passengers. Yep I agree, the APC's carrying capacity is amoebic, if the report of a 8-man capacity is true then nothing justifies it. The turret doesn't (or shouldn't) go into the hull; all that space should be free, and the actual vehicle is high, long and wide. Should carry 10-11 at the very LEAST. That's to say a full squad and preferably extra space for 1-2 as well and/or ammo/supplies. 8 men with the Ratnik equipment and gear need as much space as 10-12 men with the old gear. flamming_python wrote: Yep I agree, the APC's carrying capacity is amoebic, if the report of a 8-man capacity is true then nothing justifies it. The turret doesn't (or shouldn't) go into the hull; all that space should be free, and the actual vehicle is high, long and wide. In the West the IFV carry 1 squad of dismount soldiers and that between 7-9 soldiers. so 8 is ok.